Tesco's entertainment market share jumps up thanks to the sale of popular games like Grand Theft Auto V.
There are many places to buy games beyond the brick-and-mortar game store. 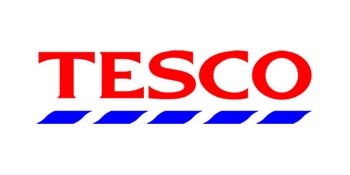 A third of money spent on Grand Theft Auto V was spent at Tesco, a supermarket chain in the UK. Not only did the sale of GTA V drive the games market forward in the UK, but it also boosted supermarkets' entertainment market share, with Tesco's shares rising from 11.9 percent to 17.1 percent for the 12 weeks ending Sept. 30. "The games market has grown by an impressive 29% compared with the same period last year," Fiona Keenan, strategic insight director of research company Kantar, said. "Tesco has been the big winner of the release of Grand Theft Auto V, collecting over a third of all money spent on the title during the two weeks after its release." At first, it might seem a little strange to buy videogames from the same place you would buy your groceries, but supermarkets have been expanding into the entertainment market for years with the sale of video. Kantar reports 81% of money spent on Star Trek: Into Darkness and Iron Man 3 came from supermarkets. "It will be interesting to see if the success of the supermarkets in the games sector continues this Christmas with the release of PS4 and Xbox One," Keenan said. "GAME and Amazon are leading the way in pre-orders so far and we expect specialist gaming retailers to do particularly well in the run-up to launch as consumers look for help and advice."